Legal experts and business leaders from around the world will gather in London from 3-4 October. 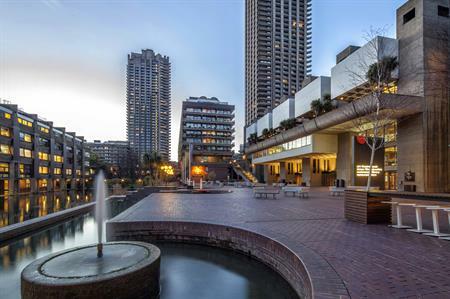 The Barbican will host the inaugural ‘London Conference on International Law’, from 3-4 October, 2019. This event is the first conference of this scale focussed on public international law to be held in London. Under the theme of ‘Engaging with International Law’, international law academics, judges, practitioners, representatives of civil society and business-leaders will come together to discuss and confront how states and international organisations, academics and practitioners, and members of the public engage with international law. Panels and plenaries will address the most challenging current issues spanning the fields of environment, technology, conflict and security, transnational arbitration and dispute resolution, human rights and international criminal justice. "Participants will consider the different ways individuals, organisations and countries seek to develop, change or restrict international law as they use it as a sword, a shield, a justificatory basis, an excuse, a language of cooperation, or a moral imperative," said Kristin Hausler, Dorset senior fellow at the British Institute of International and Comparative Law. Sir Iain Macleod, the legal adviser at the Foreign & Commonwealth Office, added: "As a global focus and hub for international law, London is the obvious place for an event like this. "The conference has already received a great deal of interest and support from the international legal community, and we are very much looking forward to welcoming an impressive line-up of prominent speakers and delegates to London for this event". The Barbican’s head of sales, Jenny Waller said: "The London Conference on International Law will gather together leading legal minds, politicians and experts at an event that will help understand and shape the future of international law and the whole Barbican team is proud to be a part of that process."